L.I.K. Seamless Gutter Company, Inc. Comment: I currently have white aluminum gutters on my house that are about 24 years old. They are showing signs of rust and are coming loose from the house. The downspouts are no longer attached to the gutters. I would like to have all of the gutters and downspouts replaced as soon as possible. I'd prefer to stay with seamless white aluminum gutters and would like to discuss the option of going with 6 inch k-style gutters. Comment: The gutter on the rear portion of our home is coming off the side of the house. Due to the high winds lately weâre looking to get the gutter repaired immediately. Comment: Gutter is detached from the home. New Windsor Gutter Cleaning & Repair Services are rated 4.68 out of 5 based on 633 reviews of 11 pros. 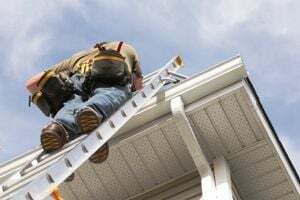 Not Looking for Gutters Contractors in New Windsor, NY?